Manufacturers face many different challenges in their production processes. Overcoming such challenges quickly and efficiently is what separates the most successful manufacturers from those that continuously struggle to make ends meet. 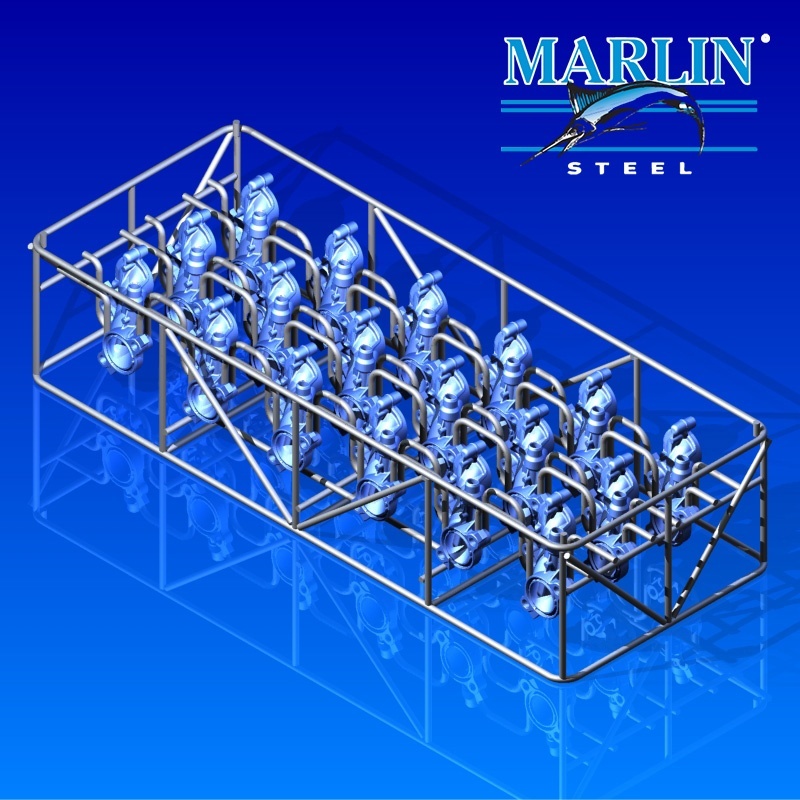 Marlin Steel specializes in creating custom wire forms to solve various production challenges. 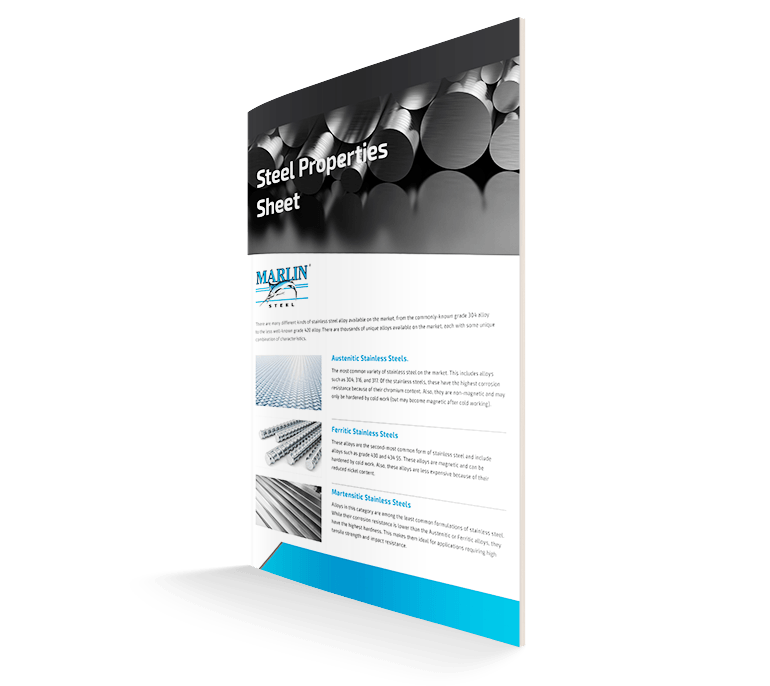 With the right wire form, it is possible to make your production process more efficient so that your company can save time, money, and materials. Visually, this basket is very different from the typical basket design. Instead of a recessed cavity with raised sides that keep parts in, this basket is designed more like a drying rack. Parts would rest on the widely-spaced wires that run parallel to the handles, providing plenty of open space to allow debris and runoff from the parts washing cycle to be rinsed from the parts. To make sure that parts would stay in place, the basket used a detachable wire mesh lid. When closed over a loaded basket, the lid would prevent parts from rattling around excessively and falling off of the basket. This basket was thoroughly optimized for a rigorous parts washing process, allowing for easy cleaning and removal of parts, while keeping parts securely in place throughout the cleaning cycle so that small, delicate parts would not become lost or damaged. The design of this basket was highly dependent on the shape of the parts. Every detail, from the thickness of the wires used to hold the parts, to the spacing of said wires, was carefully selected based on the dimensions of the part and the process the basket would be put through. Ultrasonic parts washing is a very effective way to remove stray manufacturing debris from your parts, leaving them with a near-perfect surface finish. One major challenge of ultrasonic parts washing is dealing with the fact that the basket and the parts it contains will be submerged in an aqueous solution. Not only will a basket made from the wrong materials be corroded by repeated contact with many liquids, parts can fall or float out of the basket if the wires are too widely spaced. A primary feature of this basket is the fine wire mesh that is designed to allow the basket to hold many small parts without allowing them to fall out of the basket. To accomplish this, the basket’s frame was overlaid with a very fine wire mesh coating, complete with a latched lid that would hold shut during the vibrations of the ultrasonic cavitation process. This basket was designed to not only keep parts securely locked inside, but to be easily moved from one parts washing process to the next using large sheet metal handles that could be grabbed either by hand or by specialized mechanisms. 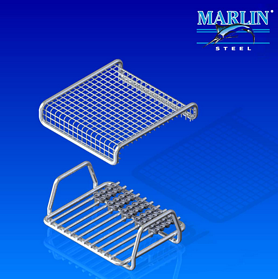 With the closely-spaced wire mesh, lid, and large handles, this basket holds parts securely during the intense stress of an ultrasonic cleaning process while being easy to handle so that the basket can be moved quickly from one process to the next. Sometimes, a wire basket needs to be very heavily optimized to handle the manufacturing process for a single part. This particular basket was created to hold a single type of part with very specific dimensions to facilitate cradle to grave processing of that part. Rather than having to use different baskets for each phase of their parts finishing process, from the initial cleaning cycle to the last process before readying the parts for shipment/assembly, the manufacturer was able to save a significant amount of time between processes that would otherwise have been spent on moving parts from one specialized basket to the next. This allowed for an increase in the number of parts that could be produced per day, improving profitability for that product line and minimizing time to market. 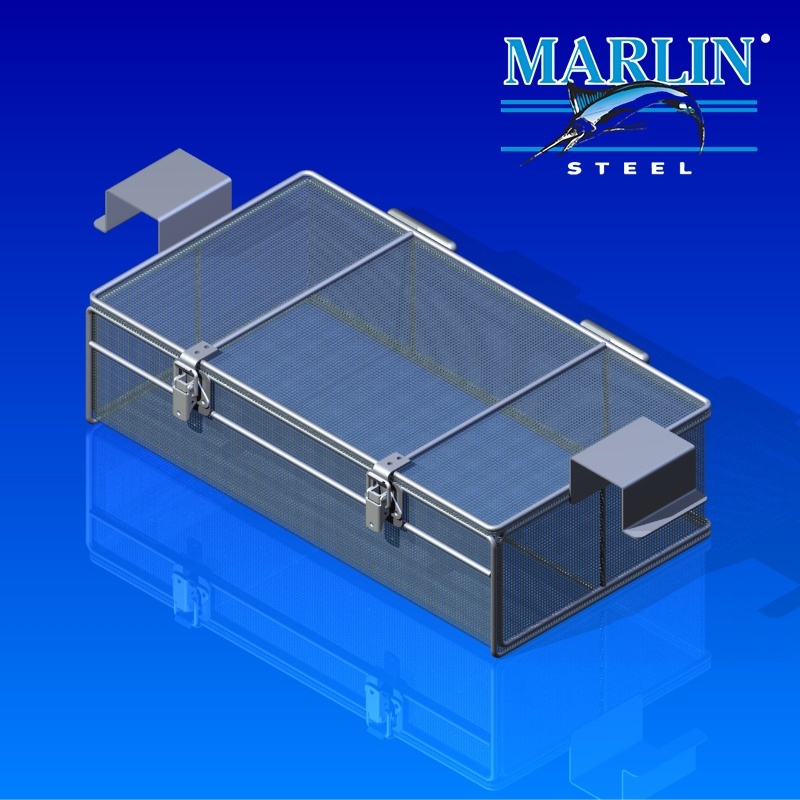 With the right basket design, you can overcome many manufacturing challenges with ease.